1. Figure out the budget & organize your finances – It’s also a good exercise to simulate math yourself, based on your income to understand your expenses. Most of our buyers aren’t comfortable spending the limit of what banks approve, after understanding the monthly cash flow. Email us for a copy of our financial excel sheet that calculates everything. Get a Pre-Approval – A mortgage broker can give you an understanding of what a bank will lend you and will “lock” you into a rate for approximately 120 days, which may save you money if rates increase. The bank will also conduct a report for your credit history. If you haven’t done this in a while, it’s also an opportunity to become aware of any credit issues. Deposit – Have approximately 5% of your budget in a chartered bank where you can visit and make a deposit draft the day you need it. Submit the deposit draft while negotiating or within 24 hours if required. Have it ready! Down payment – Have your money organized well before your closing date (a.k.a. completion date). Some banks require the money in the account at the time of approval or gift letters. 2. Work with an agent – In most cases in Ontario, a buyer’s agent doesn’t cost you anything. Interview agents to find a good fit for you. We wish buyers would interview agents more. It’s a working relationship and who you work with will affect your outcome. 3. Fit your budget to your needs, wants and the location. Create your Must Have and Nice To Havelist to help the agent understand what you are looking for in a home. 4. Get educated in the real estate market! Watch sales – look at historical sales, get a sense of their strength. Seeing is believing – Physically see condos and share feedback with your Realtor. They can refine your search. You take a car for a test drive before you buy, so you should treat this investment similarly. Spend some time in the space to understand how you may live in it, and make sure it’s right for you. 5. Study the view – Units with a good view and natural light are better. Make sure you check zoning for land that the unit looks over to know if any future construction plans will affect your view. A “clear, unobstructed view” is great today, but should be discounted if it’s getting blocked tomorrow. 6. Layout – Use the floor plans and layout to determine your furniture placement over the total square footage. Condos often sell on a dollar per square foot basis. 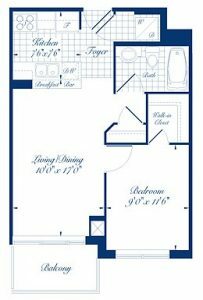 The floor plan and layout of the condo unit will affect how you live in the space. Watch this video for more information. 7. 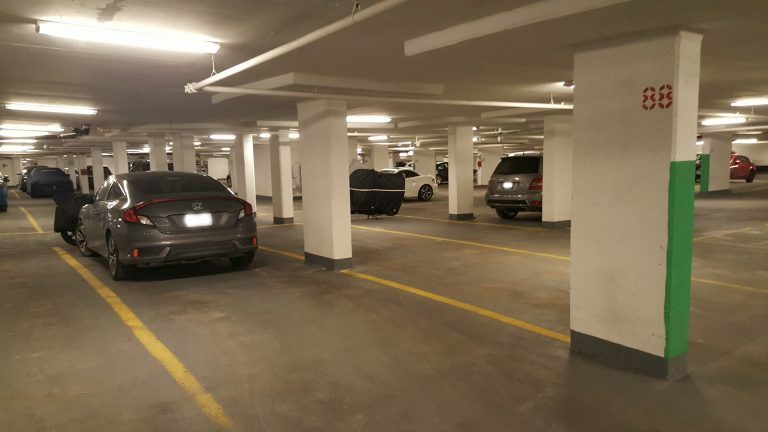 Check the parking and locker – They don’t all come in the same shape and size, or distance to the elevator. If you like a condo, take the time to evaluate the rest of the building, to see what you’re buying. 2 parking spots listed on a sheet might be tandem spaces in reality. Likewise, lockers can be tiny or can be upwards of 200 sq. ft., which could be served as hobby rooms with power! Signs of a stable Maintenance Fees for years to come. Strong Reserve fund with limited chance of special assessments. Bylaws or rules that might affect you, such as the number and size of pets allowed in the building, non-smoking, stance on short term rentals etc. The unit you are interested in has no outstanding unpaid maintenance fees. No renovations in the unit without approval. 9. Location & Community – Do your homework for the things that matter to you. If you’re giving up a backyard, the location should make up for it with convenience and adapting to lifestyle changes. Area parks, grocery store, coffee – Ideally within walking distance. Schools – With overcrowding, many new buildings don’t actually feed to the local schools. Email us for a list of all the buildings that feed to the “good schools,” and do your homework on each building. Transportation – Close to the subway? Streetcar? Bus? Future subway line? Concierge & Security – Super helpful, especially with the popularity of Amazon, and online shopping! Building amenities – Is the gym decent enough to cancel your current gym membership? Is there a sense of community in the building? What do the amenities include? Indoor/outdoor swimming pool, tennis court, theater/cinema, card or games room, yoga studio, bowling alley, library, meeting/party rooms, etc.? 10. Buy it! – Once you have a condo in your sights that works, put pen to paper! There is a lot more to discuss here on negotiating and closing process, but this is step 10, so will have to be found in another blog! Email team@oulahen.com or call (416) 222-1212 if you have any questions, to see a unit or for statistics on a building/area.